Warts are caused by viruses and commonly grow on the hands, fingers, and feet, but can occur anywhere on the body. You can get a wart by touching someone else's wart or something a wart has touched, like a floor or towel. You are more likely to get a wart if you are a child or teenager, have cuts or scrapes, bite your nails or pick at hangnails, have a weak immune system. Small hard bump with a black dot in the center. Bump may be flesh colored, grayish brown, pink or light brown. May be rounded, flat, rough, or smooth. May be finger-like or thread-like. May be tender or painful. Some warts may go away on their own, especially in children. If the wart is not painful, it may not need treatment. Treatment depends on the kind of wart and how many warts you have. Cryotherapy freezes the warts to remove it. Topical medication to put on the wart to make it go away. Drugs to boost the immune system to help fight the virus causing the warts. 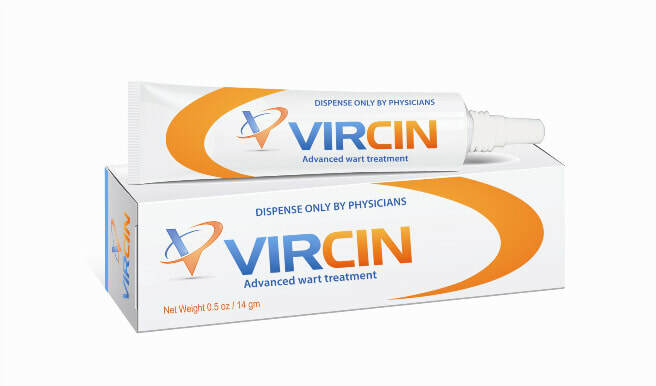 Vircin is an immunomodulator that kills warts quicker. 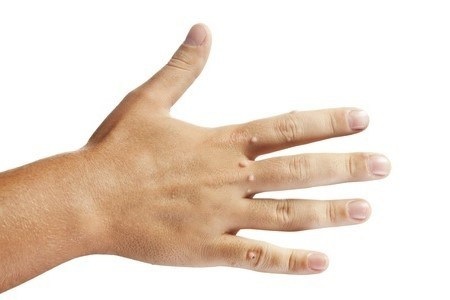 What can I do to prevent the spread of warts? Do not scratch or pick at warts. They can spread to other part of your body. Wash your hands with soap and running water if you touch a wart. If you do have warts, keep the area dry to prevent spreading. Do not touch warts on yourself or on other people. Wash your hands with soap and water if you touch a wart. Do not use other people's personal items like towels, razors, or socks. Wear flip flops in public areas like pools, locker rooms, and showers. If you have a cut or scratch, keep it covered with a bandage. Be careful when you shave. Men with warts on their face can spread warts when shaving, and women who shave their legs and arms can spread warts when they get viral particles on the razor and then create nicks in the skin when shaving. If you have to shave, do the area with the warts last, and use disposable razors that you throw away.